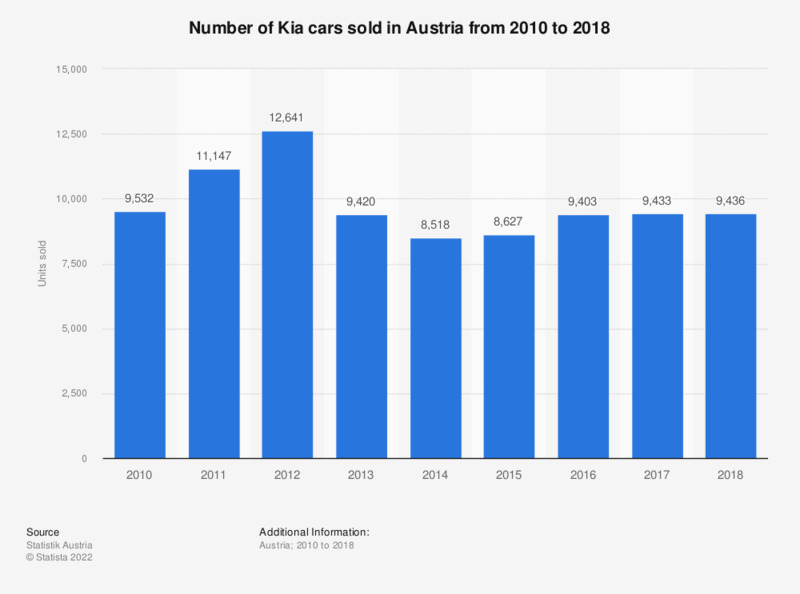 This statistic shows the number of cars sold by Kia in Austria between 2010 and 2017. Austrian sales of Kia cars increased from 9.5 thousand units sold in 2010 to 12.6 thousand units sold in 2012, before decreasing to under 9 thousand units sold in 2015. It then increased again in 2016 and 2017, reaching 9.4 thousand units sold in 2017.